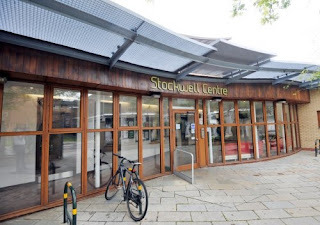 The Stockwell Centre on Studley Road (just behind Stockwell tube station) is a well used community centre created for local residents. Unfortunately, Hyde Housing - the housing association which runs the centre plan to get rid of the centre and lease it to another group, with no guarantee it will stay open or provide the same services to local residents. 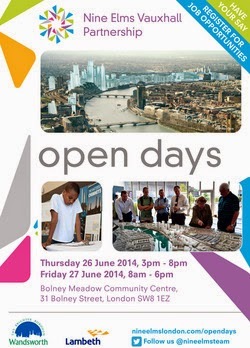 They are also getting rid of community centres in other areas including the Kennington Park Estate. The Stockwell Centre hosts a wide range of meetings and events - resident association meetings; support groups for drug/alcohol recovery; police engagement; Councillor and MP surgeries; digital training; support for elderly; training and advice for those getting back into work; social events; the Stockwell Forum; kids' sports activities like judo/taekwondo and much more. This is a crucial resource which Hyde Housing recently refurbished and said they would support for long term. 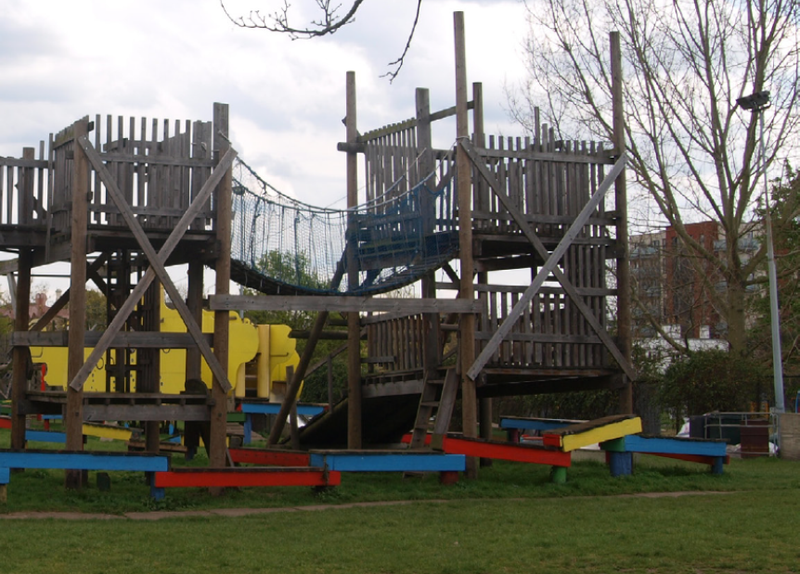 This is an incredibly well used community centre, in an area that has the 5th highest child poverty in London. It really is crucial that it stays open. 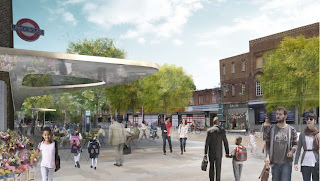 Stockwell Labour Councillors Alex Bigham, Guilherme Rosa and Imogen Walker are fighting these plans. Please sign and share this petition with your friends and family. 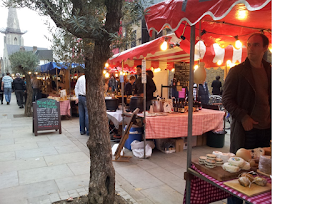 A Business Improvement District for Stockwell? Local Councillors have asked Council officers to investigate whether a Business Improvement District (BID) would be feasible in Stockwell and Oval to bring together the business community and the improvements that other town centres have witnessed. A draft map of where the BID might operate has been drawn up here. 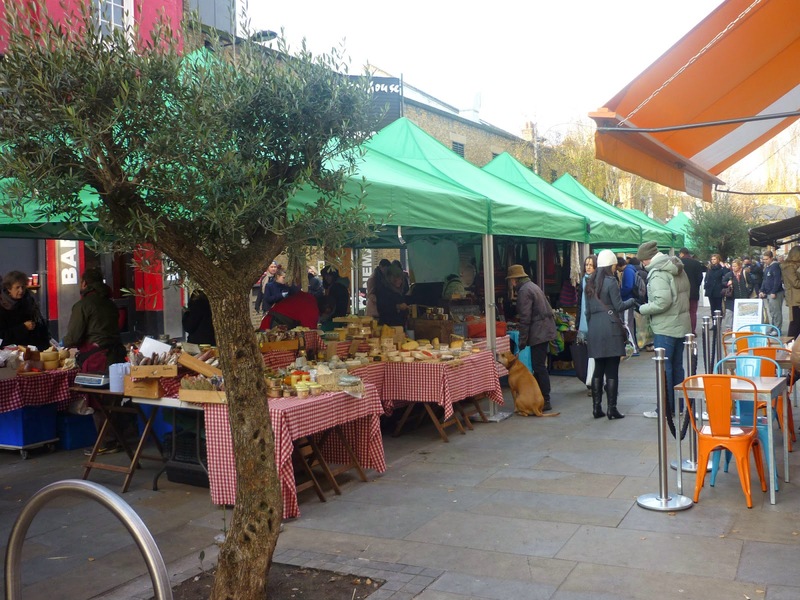 A BID is an organisation run by local businesses for the benefit of the neighbourhood which businesses pay a small levy to fund every year. Very small businesses are excluded. 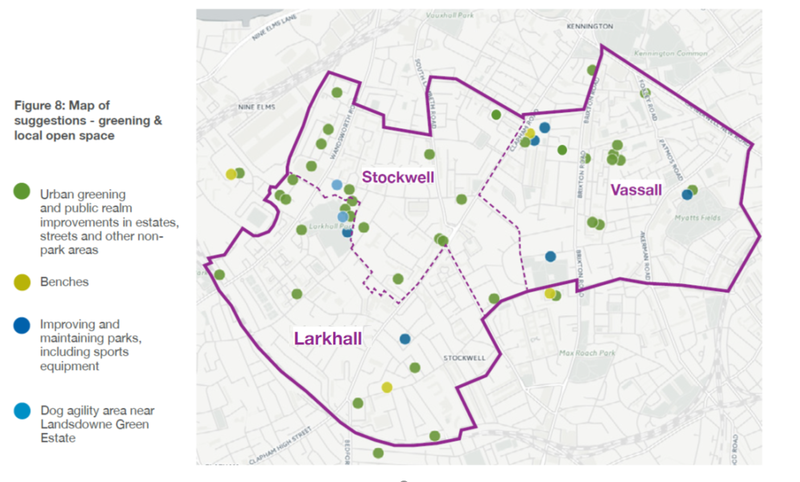 In Lambeth there are currently seven BIDs, our residents will probably be most familiar with Vauxhall One who have installed new bins and hanging baskets, provided their own jet washing and street cleaning of the arches and town centre streets as well as supporting individual businesses with cheaper bills for things like energy and rubbish collection. Vauxhall One has also hired dedicated police officers to keep Vauxhall safe and invested in improvements like the pedestrianisation and improvements to part of Vauxhall Walk. There is loads more like the summer screenings in Vauxhall Pleasure Gardens and the Vauxhall Ice Rink. Have a look at their website to see more about what they do. 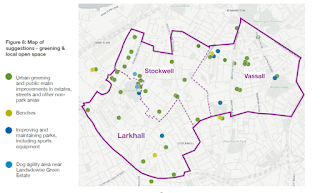 Council officers will be assessing whether there are enough businesses in the Stockwell area to make an organisation financially viable (BIDs need a basic amount in order to effectively function over a neighbourhood) and what the area around Stockwell town centre would make sense for the business community. Once that information is back we’ll see how best we can take this forward. To keep up with the campaign, please follow @StockwellOval. Campaigning sessions in Stockwell - join us! 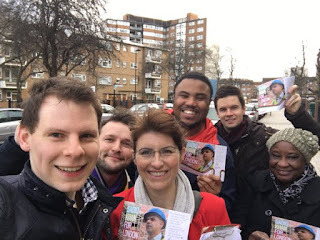 Come on join us on the doorstep over the coming months as we campaign in support of Sadiq Khan and Florence Eshalomi. Confirmed dates are February 27, March 5, March 19 and April 9. 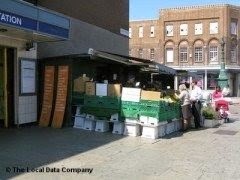 Our usual meeting place is Stockwell tube station at 11am. Don't worry if you haven't been out canvassing before, there will always be someone available to show you the ropes! Contact labourstockwell@gmail.com for more information. Over the past four years, your Labour councillors have been working hard, not just at election time. Here’s a summary of what they’ve achieved since the last election in 2010. 1. Frozen your council tax every year – helping residents with their bills after the Lib Dems put it up by 40%. 2. Brought the Barclay Bike hire scheme to Stockwell, organising a petition of City Hall, with joint funding provided by Labour Lambeth. 3. Restored the Stockwell war memorial to mark the centenary of the First World War, working with local residents and community groups. 4. Started work on a new public square outside Stockwell tube which will be finished in the summer. 5. Created new green spaces to improve our neighbourhood in Tradescant Road and in Crimsworth Road. 6. Regenerated the Hemans Estate with new kitchens, bathrooms and windows for residents. 7. Brought in secure bike storage across Stockwell. 8. Opened a new community centre for Portuguese speaking residents. 9. 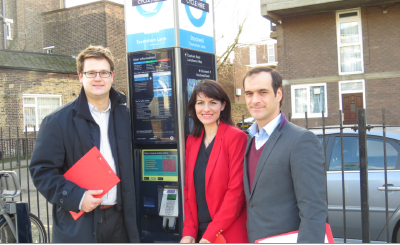 Worked with the community to introduce traffic calming measures in places like Albert Square and Aldebert Terrace. 10. Fought to protect and keep open the Tate South Lambeth library, while other libraries closed across London. But they can only continue their work if you use all 3 votes for Labour on Thursday. Don't delay, vote Labour today. Even before Nick Clegg decided to get into bed with David Cameron, the Lib Dems were busy cosying up to the Tories in Lambeth. When the Liberals and the Tories ran Lambeth from 2002 to 2006, people in Stockwell suffered. - They put up council tax for hard pressed residents by 40%, costing residents £1,000- while Labour has been in power, it has been frozen, to help families with their bills. And in Westminster, the Lib Dems have cut all funding for affordable housing, introduced the hated bedroom tax and cut 10,000 police officers and 4,000 nurses. It's no wonder local people don't want to see the Lib Dems elected again after the mess they left us in. - suspend the £450m Lambeth Housing Standard investment programme which is providing new kitchens, bathrooms and windows for residents in Stockwell. - spend a measly £200,000 from government for repairing roads rather than the £50m that Labour has invested since 2010. - waste £3.3m on a PCSO contract, which Labour has managed to negotiate for free. 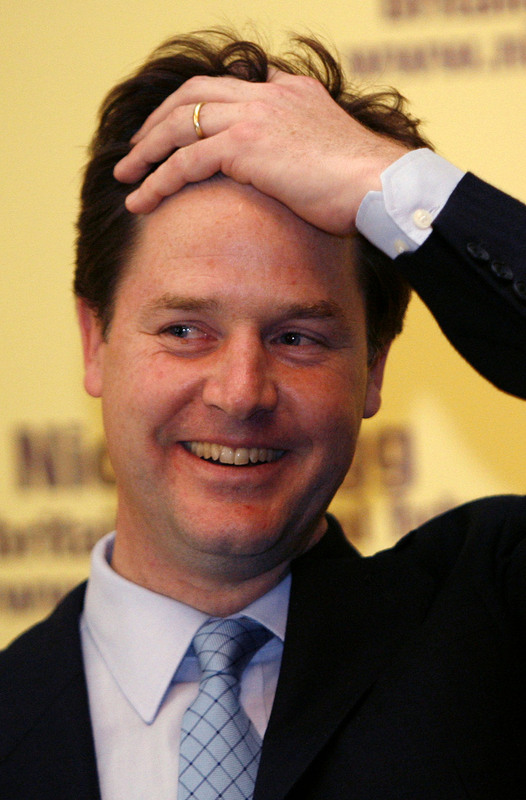 Remember - only Labour can beat the Lib Dems round here. Don't forget to vote Labour on Thursday, 22 May. You have three votes in the local elections on Thursday 22 May. 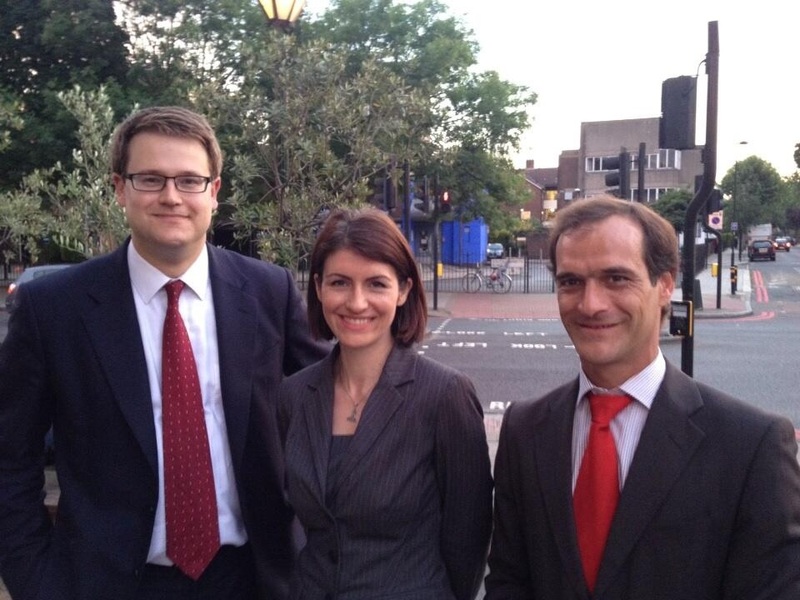 Your three local Labour candidates are hard working community activists. Here's some more details about them and what they have already done in our local community. Alex has been a councillor for four years and has had a home in Stockwell for over 30 years. He works for an education charity with schools in South London. He campaigned successfully to restore Stockwell’s war memorial and set up a new community centre for local residents who speak Portuguese. He has fought to protect local services like our post office and to keep council tax low to help residents with their bills. 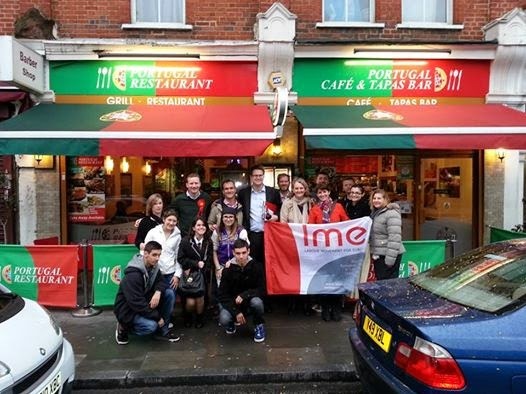 Guilherme first moved to Lambeth in 2002. A community activist for many years, he is a member of Stockwell’s business association and supports the Stockwell Festival. As a volunteer at the Tate South Lambeth library, he set up a Portuguese section and also started a social club for residents. Committed to our diverse communities, he wants to see more local jobs and school places created. Imogen has been a councillor since 2006, and she has worked for improvements in our local community including the new Stockwell Square and better recycling. She is Lambeth’s cabinet member for Environment and Sustainability and campaigned to bring the TfL bike hire scheme to Stockwell. Imogen trained as an actor and in her spare time is interested in animal welfare and the arts.